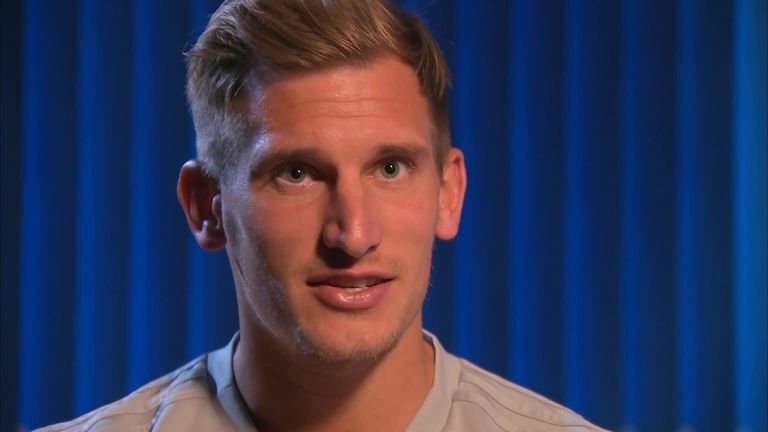 Marc Albrighton admits he will feel a little disappointed if he never gets an England call-up, but the Leicester winger does not feel he could have done any more to earn international recognition. Since moving from Aston Villa in 2014, Albrighton has become an integral member of the Leicester squad, featuring in every match of their Premier League-winning campaign in the 2015-16 season. However, Albrighton's success at club level is yet to be rewarded with an England call-up, which the 28-year-old concedes is a disappointment - though he has not given up hope yet. "If I get to the end of my career and I have not played for my country it will probably be a bit of a disappointment in that way," the winger told Sky Sports News. "But in terms of regrets I'd say no [I don't have any] because I don't think I could have done any more. "I wouldn't say that I have let myself down with performances that mean I haven't got into the England squad. I think I have done everything I can to get myself into contention to get a call-up. "It hasn't been but I'm not going to argue with anyone about that. I'm not going to call out anyone and say 'I should be in the squad'. That's not who I am and how I work. "I'll keep trying my hardest. Maybe one day [it will happen]. You do sometimes see the odd 30-year-old get a call-up now and again, so it would be great if I could. If I can't then it was not to. I'm a strong believer in fate and if it's not to be, it's not to be." 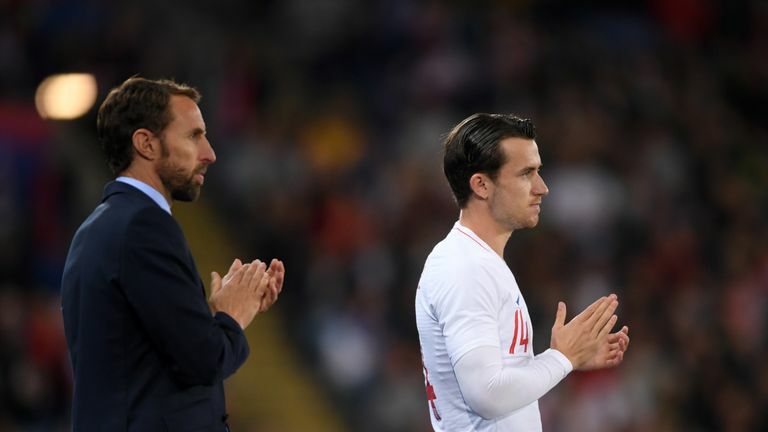 Albrighton's team-mates Ben Chilwell and Demarai Gray were late additions to Gareth Southgate's squad for the 1-0 friendly win over Switzerland at Leicester's King Power Stadium on Tuesday. And Albrighton believes the pair have the quality to play for England long into the future. "If they carry on with the potential they have got then I think it's an absolute cert [that they will be England regulars in the future]," the Leicester winger said. "I think they are both top-class players already. I think Ben Chilwell has proved in previous seasons what a good player he is when he came in for Christian Fuchs on occasions and performed very well. He's got confidence and he's not fazed by the big stage so he is made for that. "With Demarai Gray, he's the same. He's got plenty of confidence in his ability. He's an exciting player and I think if he was to come on in the game the other day [against Switzerland] he would have livened it up no end. "I think he has got that ability to get the crowd on the edge of their seats. He's done that plenty of times for Leicester, and hopefully in the future he can do that plenty of times for his country."